﻿ Riad Elixir l Maison d'hôtes & riad de charme Marrakech pas cher à la medina. 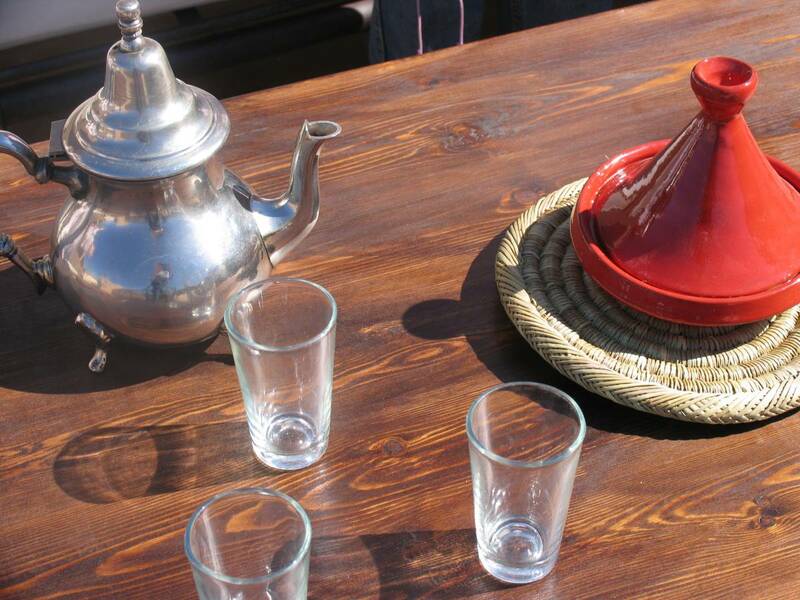 The Riad Hotel is located in ‘La Médina’, one of the more historical ares in central Marrakesh, giving you easy access to numerous different places (Place Jeema El Fna…) and a wide range of possible activities (…). 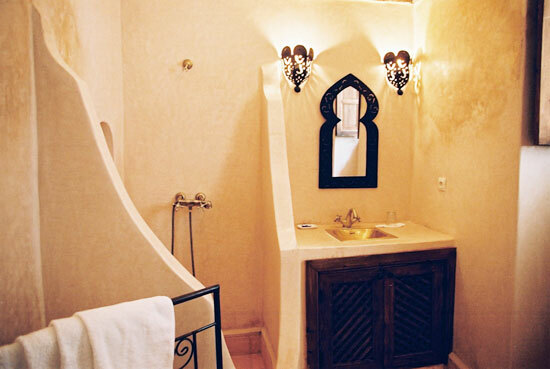 The Riad Elixir is a genuine haven of serenity, uniting tranquility with luxury in our fine guest house, restored according to the traditional arab-andalucian styles. Truly a hotel of charm, every detail has been taken care of; door and window frames of wood, balconies forged from cast iron and traditionally decorated with tiles and white-washed walls as well as tadlakt, all of which contribute to our genuine and comfortable moroccan atmosphere. 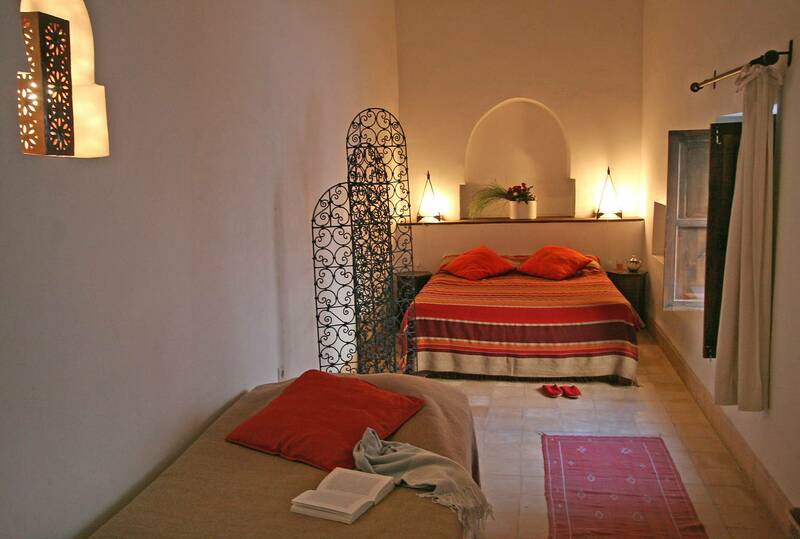 This Riad in Marrakesh consists of 5 spacious bedrooms and 2 lounges, one of which has a chimney, all opening out onto our leafy courtyard where we have a fresh pool as well as a sun terrace. Each room has an ensuite with walls covered in tadlakt and air conditioning or heating depending on the time of year. We also offer the possibility of renting the whole riad hotel in Marrakesh for 10 to 14 people which includes a full hotel service. 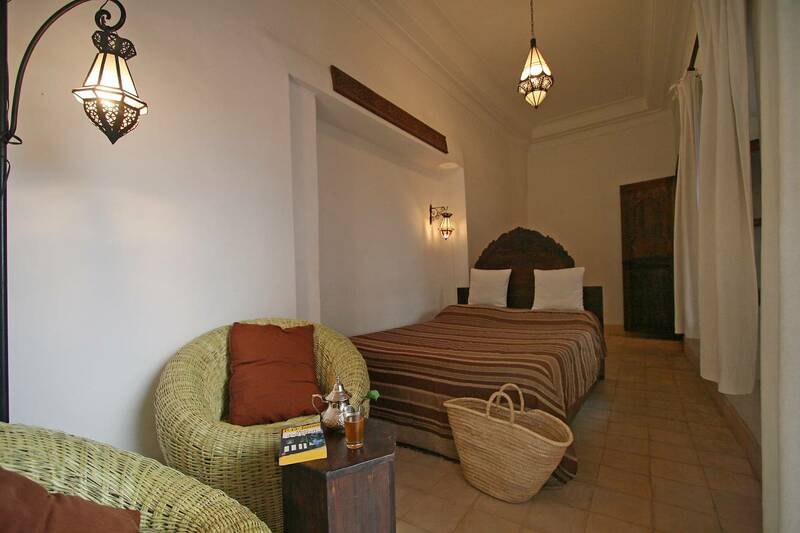 The riad is classified and officially recognized “Guest house” - second category - by the Ministry of Tourism of Marocco. Insist on quality ! Riad classified and officially recognized “Guest house” - second category - by the Ministry of Tourism of Marocco.